Crawl spaces are often an unpleasant and forgotten part of the home, but thanks to the "stack" effect, the air inside your crawl space could potentially enter in to your home through cracks and openings, making it important to keep this area as healthy as possible. Air ducts in the crawl space is another method by which the air in your crawl space could enter in to the living space of your home. Do You Need Mold Remediation In Your Crawl Space? If you have had mold testing done to confirm that you have a mold issue in your attic, if you have gotten water in your crawl space, or if you see a mold-like substance in your crawl space, contact us to schedule a free estimate for mold remediation. 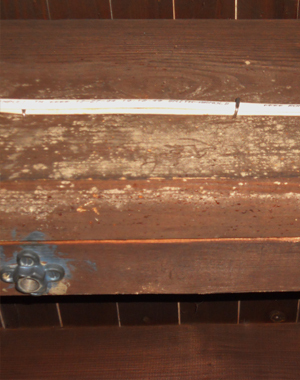 Click Here to download a FREE brochure of Tips on prevent growth Mold in the Crawl Spaces.